Are you looking for an iPhone video training course so you can make amazing videos to promote your business with your iPhone? Did you know that YouTube is the worlds 3rd most visited website and gets over 5 billion daily views? 80% of people will watch a website video, compared to 20% who would read the same content on that page. And people are 64% more likely to buy online after watching a video. These are some amazing stats that show that YOUR customers LOVE video! So, why not give them what they want! In around 5 hours you could to go through my easy-to-follow step-by-step iPhone video training course and find out everything you need to know to become an expert on making effective marketing videos with the camera you already own, your iPhone. Saving yourself a load of money, time and hassle. This program will take you from total beginner through to expert. 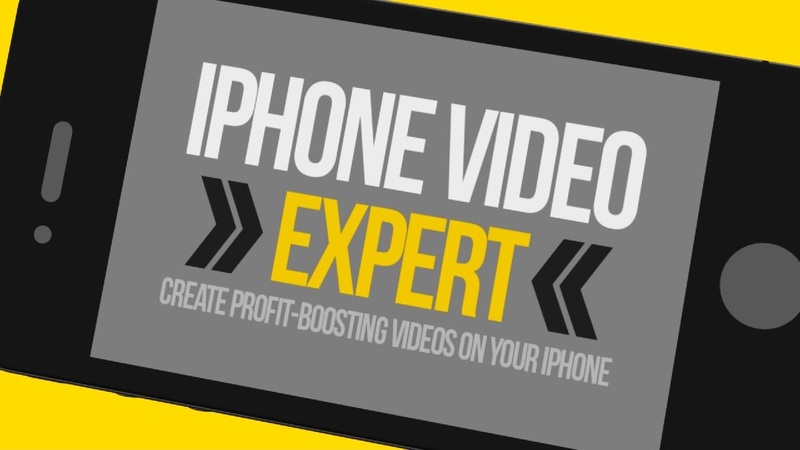 Imagine knowing a formula for making marketing videos quickly and easily on your iPhone. What difference would that make to your business? 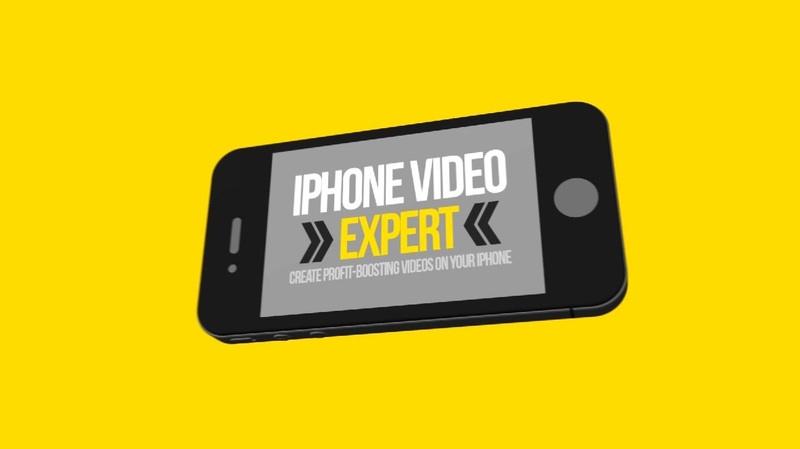 When you visit my website (phonevideoexpert.com), and fill in the form with your email and click the register now button, then I’ll send you your FREE 4 part iPhone Video training course, which will give you an idea of what you will receive with my full iPhone video training course. What does the full iPhone video training course include? Well, when you get access to the course you’ll get Module 1 which is called getting started. It’s a quick look at the fundamentals of video production: the different iPhone specs, battery life, storage and the run down on the default camera app. You’ll also get access to Module 2: essential techniques. Here you will learn the basis of great video: composition, audio, lighting, choosing a location, supporting shots (also known as b-roll), white screen setup & recording a voice over. You’ll get full access to module 3 called iPhone accessories. You’ll find out which essential add-ons you’ll need to turn your iPhone into a professional camera rig, capable of stunning results. In Module 4, filming apps, you will learn about 2 camera apps that will turn your iPhone into a powerful pro camera. In Module 5, planning your video, you will learn what language to use in your videos, how to structure your videos and essential preparation tips. In Module 6, iPhone editing, you will watch over-my-shoulder as I create a business profile video from scratch editing in iMovie. And finally, in Module 8, special shots, you’ll find out how to add some magic into your videos with professional time lapses, slow motion & vintage camera effects all created on your iPhone. These bonuses alone are worth$409. So, all in all, there’s over 5 hours in total of premium video content. If you’re prepared to put some hours in to become an expert in iPhone video production and you’re prepared to invest in some pieces of inexpensive kit, like a microphone and some cheap lights for example, then this iPhone video training course is perfect for you! 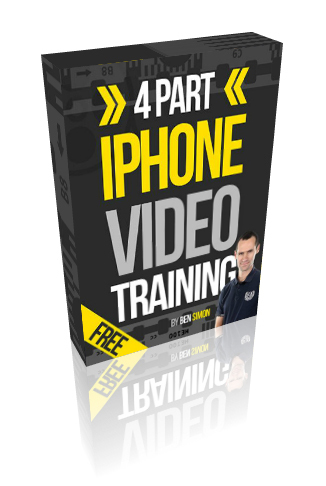 And if you want to get your hands on the free 4 part iPhone Video Editing training course then Click here! Check out my previous video Transfer GoPro Video to iPhone – Ready to Edit, where I go over some interesting tips & tricks I discovered when connecting my Gopro to my iPhone.